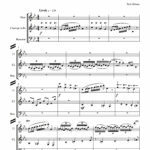 This grand and stirring arrangement, originally commissioned by the Archdiocese of Los Angeles for the 1987 visit of Pope John Paul II, features distinctive and powerful brass writing. This fresh, straightforward arrangement of the great Quaker hymn was commissioned by Frank Brownstead for the 1989 NPM Convention. Commissioned by the Archdiocese of Los Angeles for the 1987 visit of Pope John Paul II, this setting of the Lourdes hymn alternates English and Spanish verses and was used at the Hollywood Bowl to complete the Marian year celebrations. When your special liturgy includes a vibrant hymn tune like McKEE, you want the brass to support the congregation and choir as well as suit the spirit of the music to a T. Gibson’s arrangement does it all and includes two superb texts, one a beloved classic and one a contemporary gem (“The Church of Christ Cannot Be Bound”). 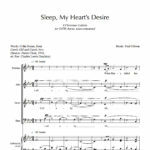 Originally commissioned by Frank Brownstead for the 1989 NPM Convention, this updated version is on the Cathedral Series of MorningStar Music. Using an original text by J. Michael Thompson, this special “Llanfair” arrangement was commissioned by Holy Family Cathedral, Orange, to celebrate the silver anniversary of its rector, Rev. Arthur Holquin. The “Ubi caritas” chant is woven unobtrusively throughout the piece. 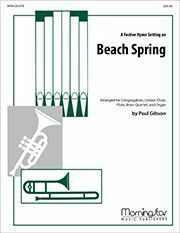 Using the beautiful tune BEACH SPRING from the Sacred Harp, this Festive Hymn Setting was commissioned by Frank Brownstead, music director of Our Lady of the Angels cathedral in Los Angeles. To celebrate Bishop McFarland’s 25th anniversary as bishop and 50th as priest, Holy Family Cathedral, Orange, CA, commissioned this triumphant and stirring setting of “Hyfrydol” to words by Peter Scagnelli.